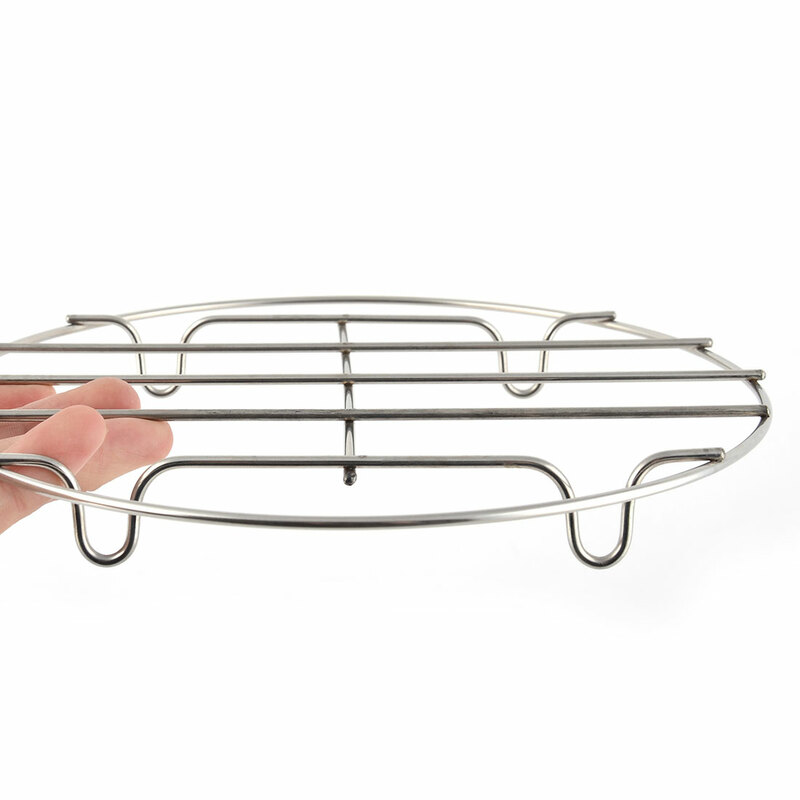 Feature with silver tone metal steam?rack, round shape, four?legs design for standing steady. Widely used in kitchen for heating bread,food,meat and so on. A necessary cookware for kitchen use, great for food steaming, baking, roasting, etc. It is convenient for cooking and it also can save more time for you.